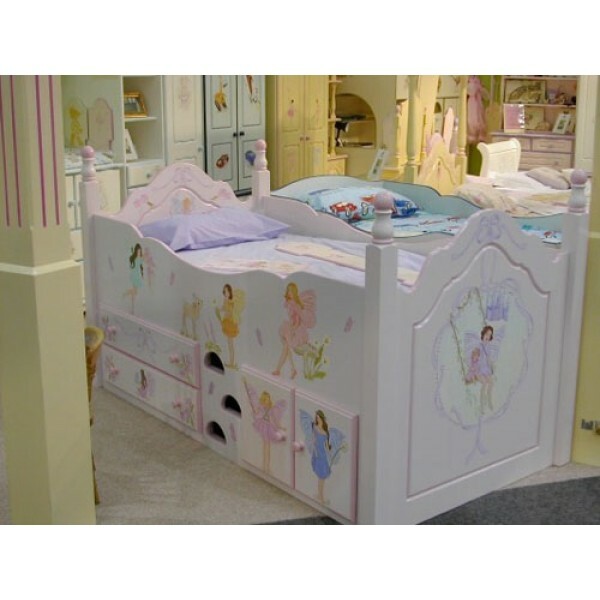 Girls 3' Cabin bed with posts. Hand-painted 'Fairies and Angels'. Bed shown is lilac with pink trim colour. Can be hand-painted in any design - see our 'Artwork' section. All Chartley furniture can be painted with the same design, OR can have just a trim colour OR be completely PLAIN! Can also be made as a 'Lower Cabin Bed With Posts' see other pictures in this section.